Yesterday, Inc., the US masthead focused on growing companies, ran a story titled The influencer you use may be ripping you off. The article’s author, Erik Sherman, recounts a story told to him by a branded content strategist acquaintance. Lena Katz took a picture of a potato, set up accounts for the potato on Instagram and Twitter and bought 10,000 followers. This experiment, highlighting the absurdity of ‘reach’ being the main driver of influence, had already been taken to the ultimate level by an Australian entrepreneur earlier this year. Marc Cowper, founder of Recomazing, an online recommendations site, set out to prove a point about fake reviews and the problem of basing influence on supposed reach. Cowper’s entirely fake company, Social Bites, won awards and was feted by social media ‘influencers’. The company never traded. In fact there was no company, just a social media presence for one. Cowper explained the reach-myth experiment process from invention to customer service awards in an article published on Mumbrella, the Australian media and marketing site. Created a company logo on Canva for his fictitious Sydney catering company. Set up a website using WordPress. Bought 24,000 Twitter followers for $30. 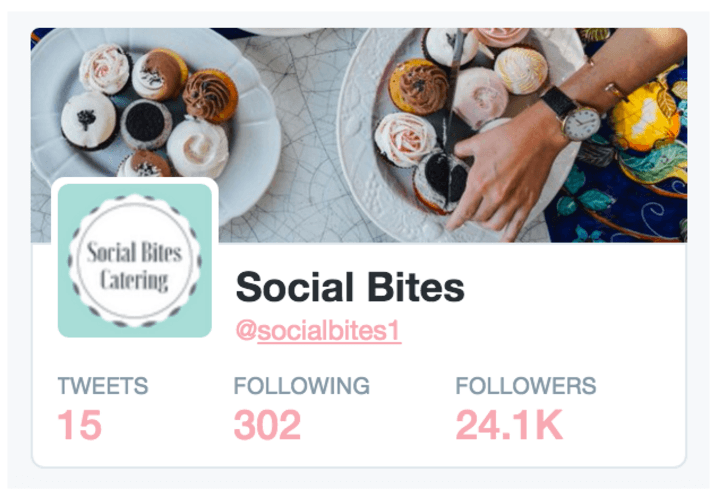 Searched for Twitter users with over 15,000 followers and paid these ‘influencers’ $25 a pop to post images with their tweets showing off the newly created Social Bites logo photo shopped on them. 5. Registered Social Bites on two Australian review sites. 6. Paid a handful of ‘reviewers’ to write 5* rave reviews. The results? 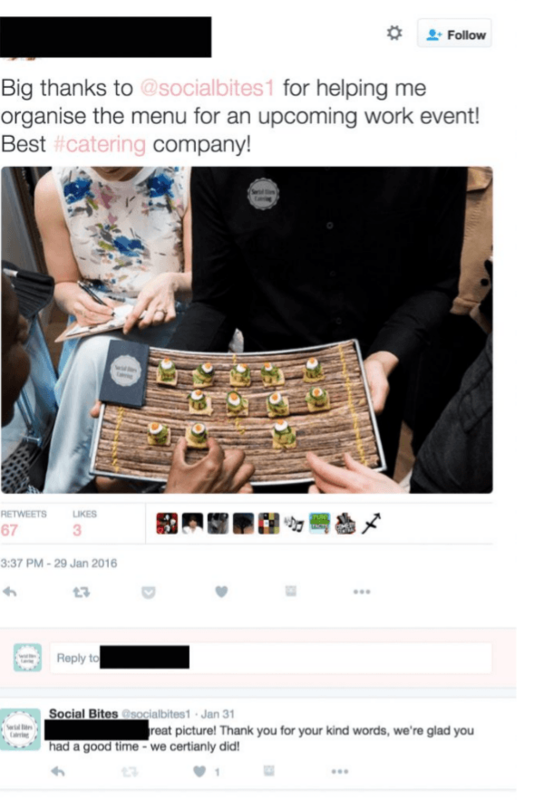 Social Bites, the fictitious catering company, ranked as the number one unpaid listing in its category. If that wasn’t amazing enough the charlatan company won a customer service award from one of the review sites. The awards being determined by an algorithm which was supposed to identify fraudulent reviews. The only trick Cowper and his experiment missed was to use bots to build a fake following. 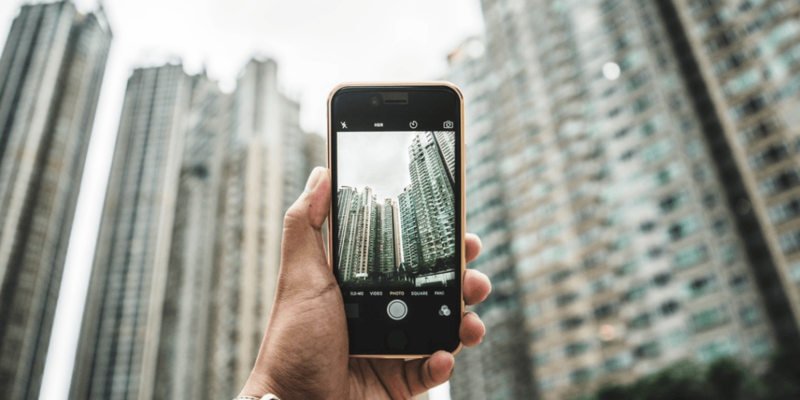 More and more people are turning to automation tools, or bots, in order to boost their Instagram followings explains Evan LePage in an article for Hootsuite, the social media scheduling company. LePage added over 700 Instagram followers in six days by trialling Instagram automation leading providers Instagress and Instamacro. He achieved this vacuous following by automating the commenting functionality and associating different stock phrase comments with hashtags. Plus by automating following based on targeted hashtag in the hope the Instagram user would follow back. Influence is accretive. It evolves. It strengthens over time. Influence can’t be built on one-time visitors, but over time visitors become ever more engaged with content. More invested in thoughtful brands. Influence is derived from credibility which stems from authority. The more often a visitor returns to a social profile the more they will trust what you have to say. Yes, reach is a pillar of influence. But it plays second fiddle to other pillars like resonance and relevance. When choosing the most appropriate influencer for your project always start with the end in mind. Ask what are we trying to achieve? Then use my 4S Filter to search, surface, screen and select the influencer(s) with the best fit for you, your brand and your target customer. Infuencer tools are great for doing the heavy lifting; identifying influencers algorithmically. But it takes the contextual intelligence of the PR practitioner to screen influencers so that the ultimate selection is the most appropriate for your communication and commercial needs. Here PR practitioners check many influencer criteria including the frequency and quality of interaction they have with their followers. Is there any engagement? Does it sound natural? Is it authentic or is it a bot? Yes, the influencers you use might be ripping you off. But only if you allow them to do so and don’t look beyond reach as a yardstick for influence.